FRANKFORT (May 10, 2018) – Children across the Commonwealth can enjoy fun outdoor events as part of “Kids to Parks Day” on May 19 at several Kentucky State Parks. “Kids to Parks Day,” first celebrated in 2011 by the National Park Trust, helps to mark the beginning of state park events throughout the summer and the importance of active, healthy living. Kentucky State Parks participating in the special day include E.P. 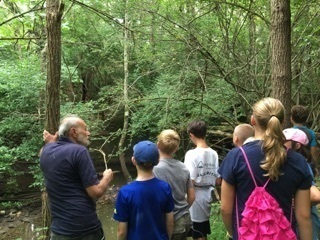 “Tom” Sawyer State Park in Louisville with its Nature and Wildlife program. The day will include a hike on Goose Creek Nature Trail to explore plants and wildlife as well as an opportunity to work on nature crafts. Jenny Wiley State Resort Park in Prestonsburg is also planning a day with free activities for children featuring games, concessions, and animals. Pennyrile Forest State Resort Park near Dawson Springs plans to have a hike, arts and crafts, and a campfire program. Other events on May 19 include a nature hike at John James Audubon State Park, a junior naturalist program on camping at Pine Mountain State Resort Park, and a flint and stones program at Old Mulkey Meetinghouse State Historic Site.